"We have to cut each pattern individually. We have 400 sizes, so anything can happen. There isn’t a lot of accommodation in cutting. It’s not like you’re going to be laying out 100 thick in the typical volume of a manufacturing unit. 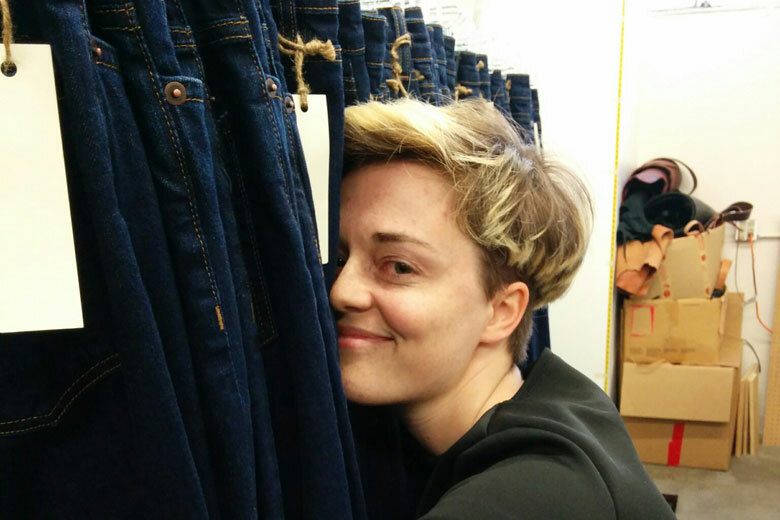 Our fulfillment is specialized in that we have to have a system that says 'This particular pant belongs to Erika. Ship it to her address.' It’s very different than saying 'Erika ordered five pairs of this size. Go pull that size off of the shelf and send it to her.' It’s a very different fulfillment flow. The industry knows how to make clothing cheaply in volume, but the second you need single-ply cutting, they’re like, 'Oh, that’s $40 a garment.' Just for the cutting. 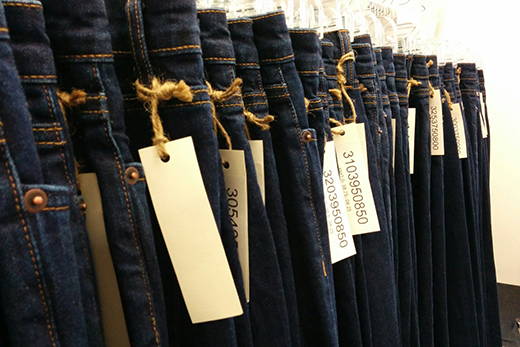 In making jeans in 400 sizes, the core challenge for us is how to manufacture on time and at the right price. The industry knows how to make clothing cheaply in volume, but the second you need single-ply cutting, they’re like, 'Oh, that’s $40 a garment.' Just for the cutting. It’s been a real challenge for us to find factories that understand what we’re doing, much less interested in helping us do it. 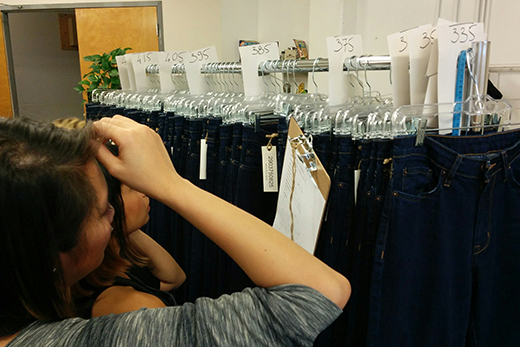 It requires a type of factory mind—it requires getting together in a different way and tracking individual garments because if Nicole’s jean is made specifically for her and it fails QA, it needs to get reviewed and re-cut the same day or the next day so it can be expedited. That kind of level of innovative technological innovation—the idea that a computer would be sequencing your garments to flow down to the floor in an efficient manner—simply blows people’s minds. A lot of people can see why it’s the future of where the industry is going, but it’s going to be hard. Fortunately, we have a team of people who have done it this way before and know it works." "A conference I recently went to was very much designed to include high innovation and I was sort of blown away by how not groundbreaking the conversation seemed to be. There was a whole lot about wearables, and I have my own rant about how incredibly boring that space still mostly is. I think it will probably go beyond that, but we’ll see what happens with the iWatch and if wearables actually become something that’s interesting. Outside of wearables, the innovations were things like Click-and-Collect. I can appreciate how incredibly time-consuming and risky it is to do something like innovate your offline warehousing—to create something that's pretty simple to understand and explain from a customer’s perspective—to actually implementing it in a business. It’s a big deal to spend millions of dollars, or whatever it takes to get those systems integrated. There's just never a good time to do that as a publicly traded company. It’s going to reduce your profits, it’s going to create long returns. Those kinds of things just don’t happen." "I’m going to sound cliché here—obstacles are a leadership moment. It’s super challenging. I fortunately have a huge network of people in my life who come from a ton of different backgrounds. I fall back on them for advice on how to move forward. I have an executive coach, by the way, who’s on call to help out. It isn’t so much the statement you make, not that those aren’t important. It’s the questions you ask. You obviously need a strong relationship with each of these people because you’re asking them to be with you through a challenging transition. It’s not so much showing up on that day and saying the right things. It’s having done your homework and asking, 'What do you need to make this successful? What do you need from us?' It’s the trust you build, and continue to build. That’s true in any human relationship." "Most of my network is an extension of people I already know. When I first entered the apparel world after being in the tech world for 15 years, I literally asked everyone I knew if they knew of anyone in the apparel industry. I was just shocked that people really did have interesting people to introduce me to, though their job titles would never lead me to believe that was the case. Talk to everybody. Know what you’re looking for. You have to put it out there to the world! As obscure as it may be, there’s someone out there to nudge you in the right direction. If not that person, it’ll be the second person." As a CEO of an apparel company—or a CEO, period—there’s something to the CEO-to-CEO email. You’d be shocked how many times they’ll write you back even if you don’t have an intro. "As a CEO of an apparel company—or a CEO, period—there’s something to the CEO-to-CEO email. You’d be shocked how many times they’ll write you back even if you don’t have an intro. Just, 'Hey, CEO, I’m the CEO of a company that does X, Y, Z. Here’s why I think you’re interesting, and here’s my very specific question.' That’s important—it needs to be short. Have a very clear ask. Know what you want. All of these people are very busy."